Tactile Tour, Sculpture by the Sea, Bondi 2017. Photo Clyde Yee. 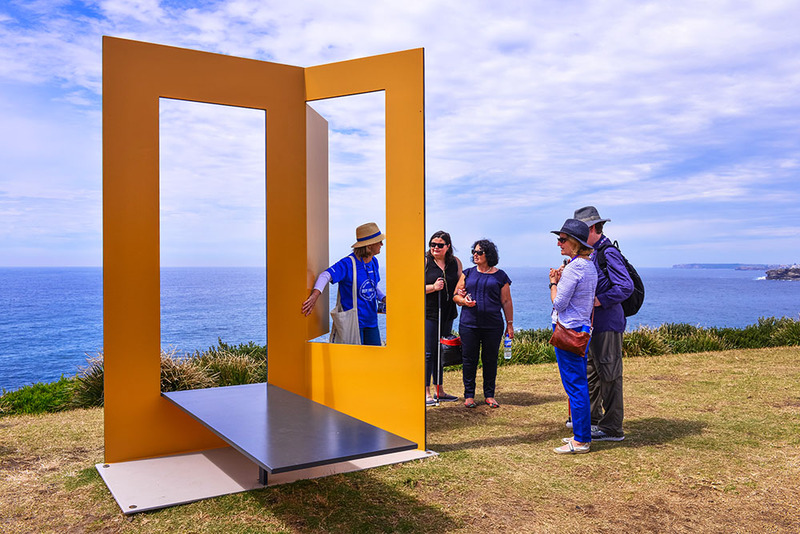 Sculpture by the Sea transforms beautiful and popular coastal locations into large temporary sculpture parks. The exhibitions aim to engender a greater sense of community, introduce the public to a broad spectrum of sculpture and support emerging and established national and international artists. The Access & Inclusion program is in continual development and review to ensure our free to the public exhibitions are inclusive and positively encourage the participation of people with diverse abilities of all ages to enjoy and experience sculpture in a beautiful setting. The program supports the public profile of people with disability and their active role as audience members. The program cultivates partnerships with schools, individuals, and organisations that represent people with disability. Exhibition Tactile Tours for students and visitors with disability. A ‘Transition to Work’ program for young people living with a disability which involves pre exhibition work experience at the Sculpture by the Sea office, Volunteer experience during the exhibition and an opportunity to prepare and present a ‘My Perspective Tour’ on site to a public audience. Post exhibition workshops with a Sculpture by the Sea exhibiting Artist on site at a school or community centre or hospital. 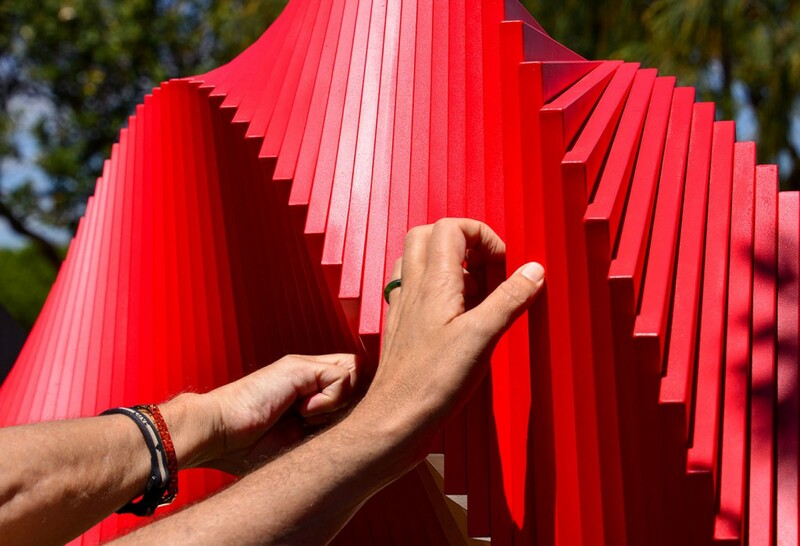 Auslan interpreted events, weekend Aqualand Artist Talks and Sydney Sculpture Conference. Please see below for more information and contact details. A big thanks to the Australia Council for the Arts, Create NSW, the James N Kirby Foundation, Waverley Small Grants and the AGNSW Access Guides for making the Access & Inclusion Program and Tactile Tours possible. Ticket price includes lunch, morning and afternoon tea, networking drink post conference and Delegate Tote Bag. Visitors with disability and their carers are invited to participate in a free Tactile Tour of some of the sculpture in the exhibition with experienced guides. Individuals, school students and groups from disability service organisations are all encouraged to take up this opportunity. Tactile Tours are designed to introduce visitors with disability to new ways of experiencing and enjoying contemporary sculpture through informed discussion and touch. 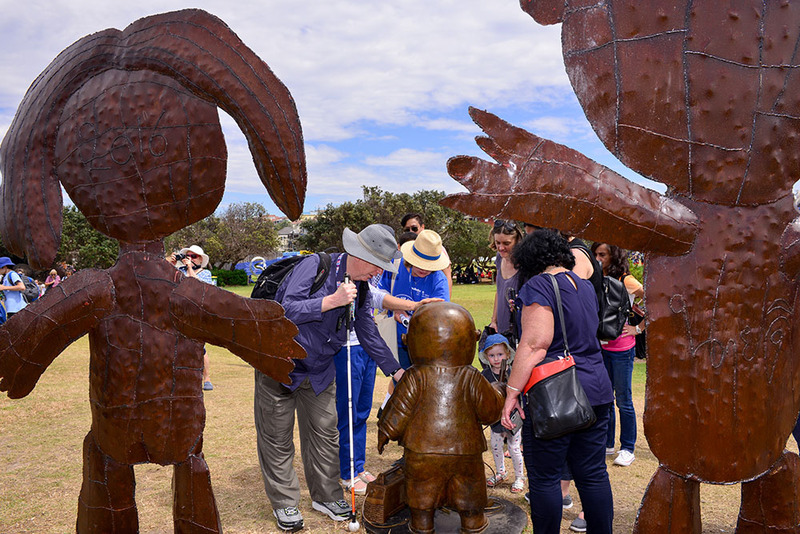 The works selected for each tour have been nominated by both the Artists and the Sculpture by the Sea Site Manager as being safe to touch and are in accessible areas. 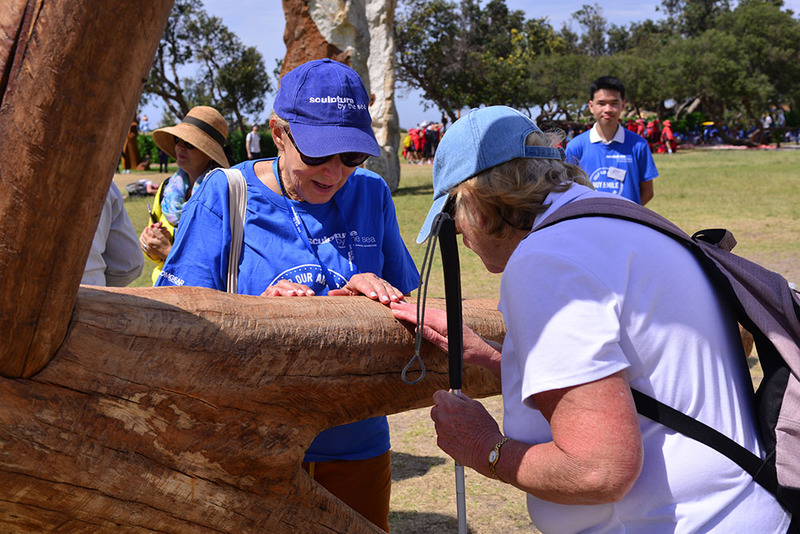 Audio descriptions/Verbal descriptions of the sculptures visited during the tours are offered to participants who are blind or vision-impaired. Bookings are essential and are tailored to meet the interests and requirements of each participant. Young people are invited to take part in a supervised transition to work program. This involves working in our Surry Hills office once a week pre exhibition and experiencing and contributing towards the behind the scenes preparation that takes place in organising a huge cultural event like Sculpture by the Sea. 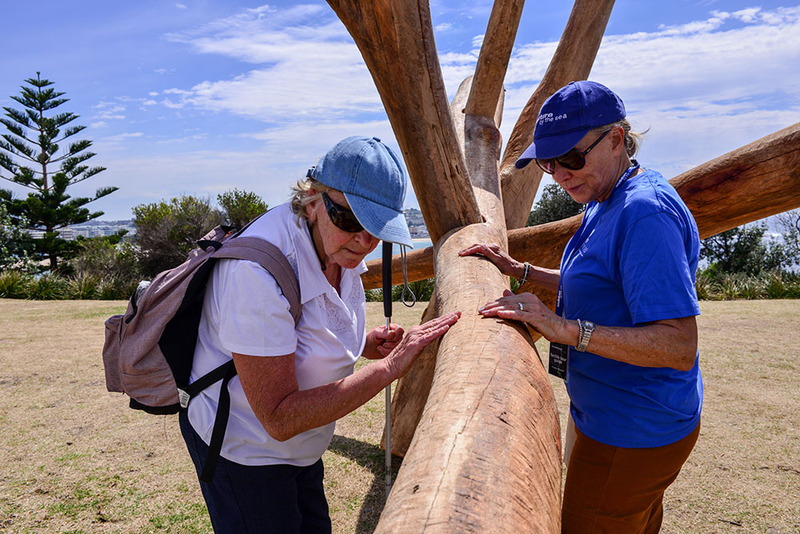 Participants can also (or may prefer instead) to join the Sculpture by the Sea volunteer team on site during exhibition. They will be supported in developing skills in areas like visitor services, catalogue sales or office assistance. Participants are invited to deliver a ‘My Perspective’ tour. With encouragement and individual support with a trained educator they will prepare and present some of their favourite sculptures, in public, to Tactile Tour audiences.